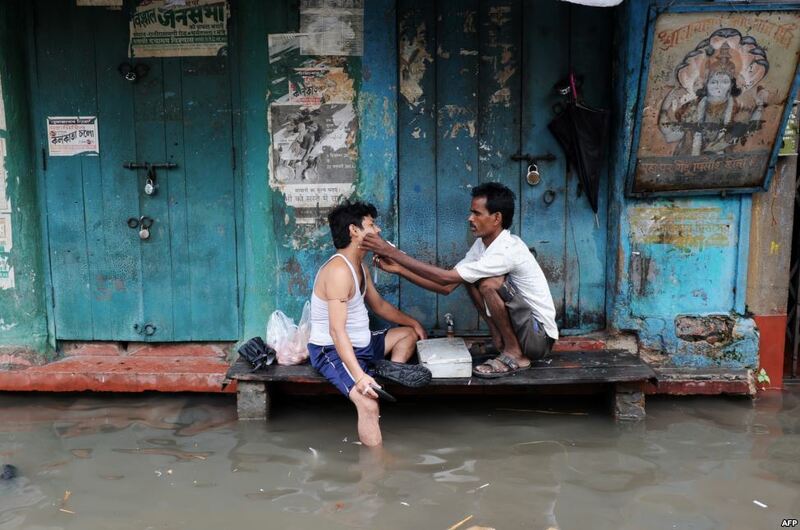 A barber shaves a customer in his temporary shop alongside a water-logged street in Kolkata, India. you said you heard a grass sound, could you tell me how grass sounds? a wet grass sound, what does wet grass sound like? then is it not ok to be that same something to someone else? 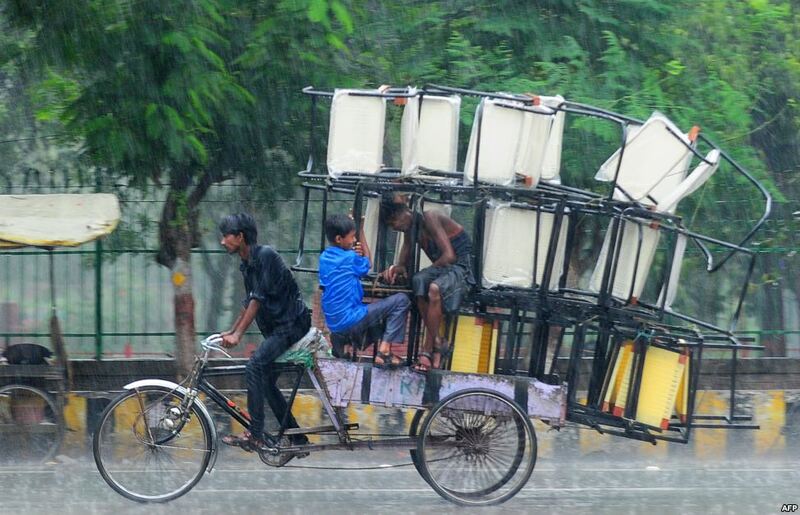 An Indian rickshaw puller bikes through the rain in Allahabad.